While it's been an interesting year at the box office, no movie pundits can come up with definitive thoughts on who will win what in the upcoming awards season. Certainly the 2017 film offerings have been varied and sometimes unique in the extreme  from horror-love stories, to historical epics to a real-life Hollywood tale of a composer being replaced midproject. In addition, when you think that storytelling is as much the composer's responsibility as it is the director's, many of the projects challenged even the best music writers that Hollywood has to offer. Here, in order, are my favorite film scores of 2017, starting with the best one. What was your favorite movie music this year? Send in your pick for the top film score of 2017 using the Saturday Cinema request form. When film folks talk about great contemporary composers, Hans Zimmer is always at the top of the list. He  along with Michael Giaccchino, Carter Burwell and John Williams  has more than one 2017 film garnering attention. Famously, he replaced Johann Johannsson on Blade Runner 2049 this past fall, and the score turned out to be 100 percent Zimmer, with a hat tip to Vangelis, which is what the director wanted most. 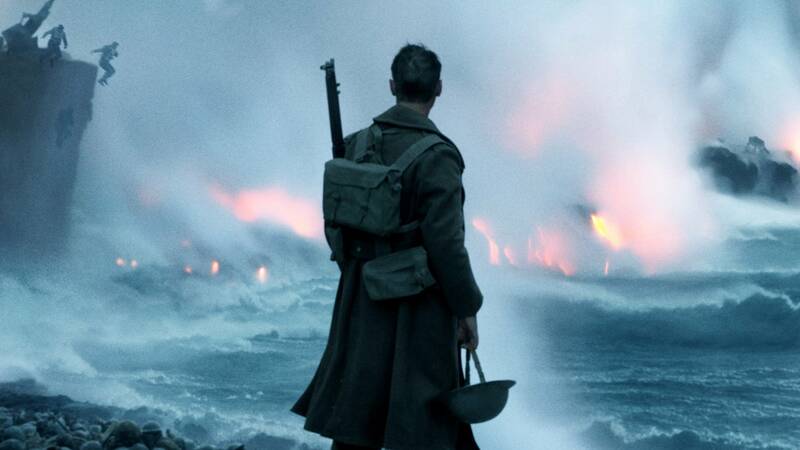 But Dunkirk is truly classic Zimmer  and a classic film score. This one might go all the way during awards season. Another score that perfectly shapes and informs the story on screen is Dario Marianelli's contribution in The Darkest Hour. Gary Oldman is brilliant playing Winston Churchill as he keeps up with every move Adolf Hitler makes in the closing months of World War II, and Marianelli's score re-creates the feeling and milieu of the British culture at the time, as well as the monumental scope of the history unfolding on screen. John Williams has not one but two noteworthy scores, as previously noted. First, I give you the "Star Wars Nerd Disclaimer": I am one. His score to The Last Jedi is that great mix of nostalgia and innovation, subtlety and rafter-rattling. And, as Star Wars differed from Schindler's List in the 20th century, so does Williams' score for The Post differ from The Last Jedi. I can't wait for The Post soundtrack to be released in January, but let's hear it for The Last Jedi. It was an entertaining 153 minutes at the movies! My sentimental pick is Murder on the Orient Express, one of my favorite Agatha Christie novels. I also was a huge fan of the 1974 remake that won Ingrid Berman an Oscar and starred many Hollywood legends of the time. While I think Kenneth Branagh's new film would be my second choice to the 1974 version, Patrick Doyle created a worthy successor to Richard Rodney Bennett's score. The suite at the end of the CD brings all those subplots together on a magnificent piece of railroad history. Give me just about anything Michael Giacchino writes. Whether he's assisting in the telling of a sci-fi epic, such as the Star Trek reboot, or bringing you the more intimate sides of human emotions in Inside Out or Up, he writes great music. This year he has two scores I really enjoyed, and it's agonizing picking just one. While I think his War for the Planet of the Apes will get him an Oscar nomination, I really enjoyed what he added culturally and emotionally to Pixar/Disney's Coco, or how to make death entertaining. When it comes to films requiring the score to run the gamut of action, plot, photography and be a genre-bender to boot, Alexandre Desplat makes each transitional moment in The Shape of Water shine. From tenderness to terror, from love story to horror, the score shapes the ride from beginning to end. Think of it as "The Creature From the Black Lagoon Gets the Girl." That's just the tip of the iceberg  no there are no Titanic remakes on the horizon  but there are so many more noteworthy scores we'll feature come Oscar time. For this week's episode of Flicks in Five, host Lynne Warfel takes a look at the music of "Holiday Inn." Click on the music player above to listen. The New Year's Day theme continues on Saturday Cinema  airing at 10 a.m. Saturday on Classical MPR  with musical surveys of "When Harry Met Sally," "The Poseidon Adventure" and more.